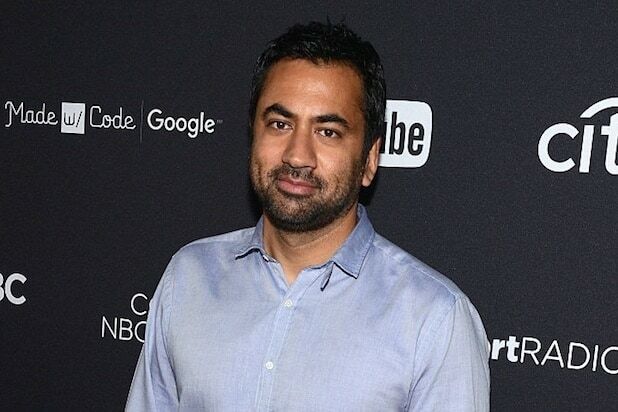 Kal Penn, who currently stars as Seth Wright on ABC’s “Designated Survivor” — and once worked in the Obama Administration — decided Tuesday to share some memories from his earliest days as an actor. They weren’t exactly heartwarming. The prolific tweeter — who raised more than $640,000 for Syrian refugees, after a Twitter user told him he didn’t belong in the country — took to social media to expose scripts he’d received as a young actor, full of cringe-inducing Indian and Middle Eastern stereotypes. Penn’s tweets highlighted pages of scripts from hit shows including “The King of Queens” and “Sabrina the Teenage Which.” He captioned lines from the latter show, saying he and the show’s creators had a spirited discussion of why his character, Prajeeb, had to have an accent at all. Another script called for a Gandhi lookalike, as well as snake charmers and fire eaters. At the end of his tweetstorm, Penn said there were “too many in this stack to tweet,” before pivoting to highlight some of his better experiences, naming the “Steve Harvey Show,” “Buffy,” “Angel” and “24.” He also complimented “House” creator David Shore, sharing a photo of an October 2007 ratings report that said the medical drama had beaten every primetime telecast in the previous week.